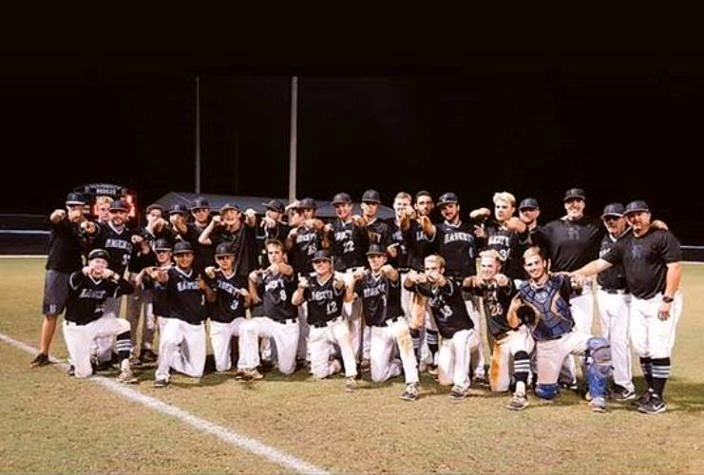 The Hagerty Huskies came as close as possible to winning it all last year, and now they get a chance to return to the state tournament for some unfinished business. Behind a four-run third inning and great pitching performances from Josh Allen and Bailey Wendel, Hagerty defeated George Jenkins 6-2 Tuesday night in an 8A regional championship. The Huskies (22-8) advance to next week’s state tournament for the second year in a row, where they will take on Sarasota in an 8A state semifinal at Hammond Stadium in Fort Myers. Catcher Cameron Alba had a monster day at the plate to lead Hagerty, finishing 3-for-4 with three RBIs. Alba’s first dagger came with the bases loaded in the third, after Brian Ellis singled, Riley Greene was intentionally walked and Britt Crawford also walked. Alba sent a double into right field that drove in both Ellis and Greene to get the scoring started, and Vaughn Grissom followed with an RBI single to make it a 3-0 advantage. The Eagles (21-8) responded with a pair of runs in the fifth to cut their deficit in half, chasing Hagerty starter Josh Allen from the mound. Allen allowed one earned run on four hits and a walk in five full innings of work that earned him the victory, and Bailey Wendel finished it off with two scoreless frames and three strikeouts to preserve the win and earn himself the save. Zach Grabbe scored on a wild pitch in the fifth and Alba delivered again with an RBI single that drove in Britt Crawford to complete the scoring in the sixth.